As reviewers, we’re blessed with the opportunity to audition a large variety of cables from the industry’s top designers. I’ve dedicated most of 2017 to cable listening and, at this point, I’ve heard at least a couple hundred audiophile cables of all sorts. This includes RCA interconnects, USB cables, power cables, and ethernet cables. My biggest takeaway? 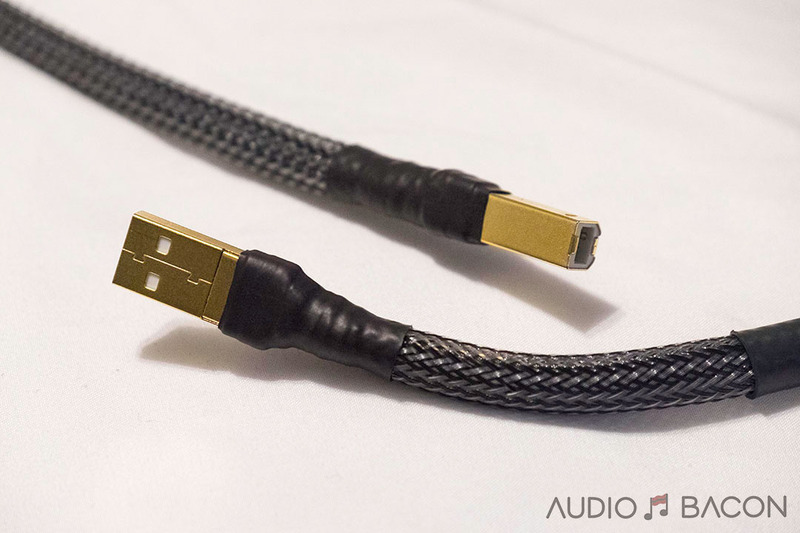 Audiophile cable design is as much engineering as it is art. As an electrical/software engineer myself, I still don’t know why some of these cables sound a certain way. There’s a reason why many of these companies have a “house sound.” This especially applies to analog cables such as interconnects and speaker cables. Due to more complicated factors, I believe digital cables are more difficult to design properly, especially in the realm of USB. How music makes us feel depends on the music we like, our upbringing, life experiences, and most importantly, our ears. Like microphones, our ears have their own frequency response, and this will vary between individuals and change due to age, trauma, and other health and environmental factors. This doesn’t mean we audiophiles can’t enjoy music on our own terms. The embodiment of these elements is applied when a designer goes through the painstaking process of gathering materials, soldering, twisting, measuring, and listening. Whether this designer has “golden ears”, tinnitus, or doesn’t realize that she’s partially deaf, there’s going to be someone out there that enjoys her signature sound. Hopefully, there are enough followers to make her proud of her accomplishments and it’s a win-win for everyone. Of course, many of these companies just want majority share and will continue to innovate, which is a great thing. 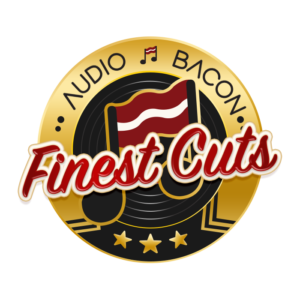 My point is, all these manufacturers have the same goals in obtaining the highest fidelity with the best conductors, shielding, and geometries they could find, but at the end of the day, there is no “best” for all ears. You are listening to the ear of the artisan. That’s the beauty of this industry. This review is a few years overdue. You could probably tell from the different TruStream sleeves and updated connectors in the photos. I usually review everything I have in my system and turnover is pretty high for some of the components, especially ICs, servers, headphones, and power supplies. Some of the best have remained in the system so long, I’ve forgotten to review them. I recently purchased an Innuous Zenith SE music server and required a longer USB cable. 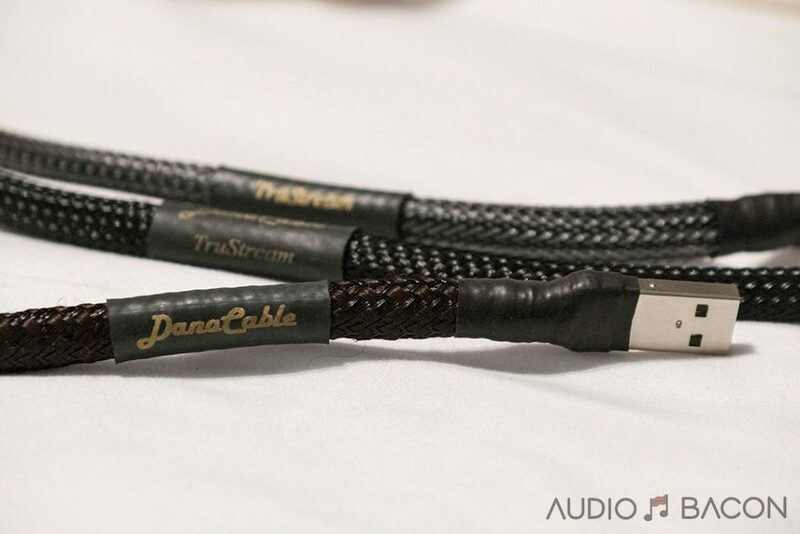 That’s when I realized, after trying probably over 50 “audiophile-grade” USB cables, I’ve always gone back to the same one: The Danacable Trustream USB. When I first purchased this cable a few years ago, I couldn’t stand it. Not even for a minute. It was abrasive, bright, and grainy. Where was this rich musicality I heard about? 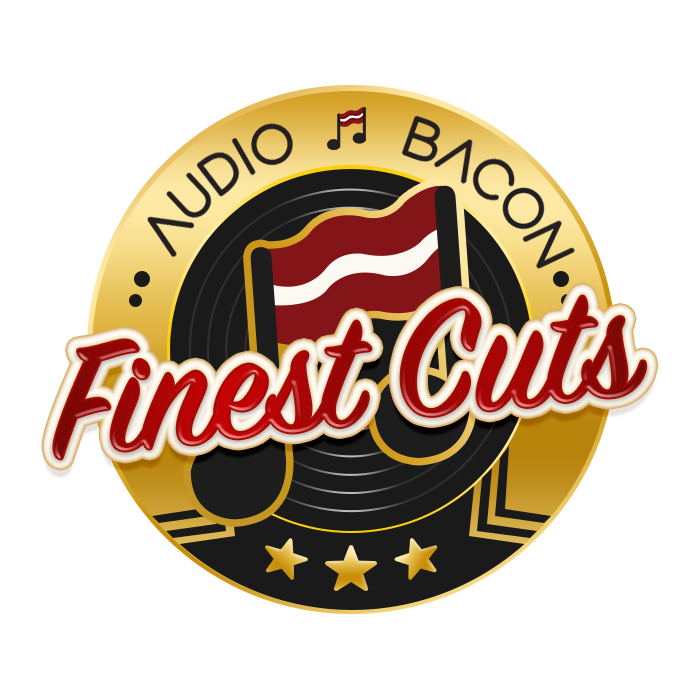 I was about to return it when Vinh from Ginkgo Audio convinced me to put 100 hours into it. Long story short, I would recommend 200 hours. 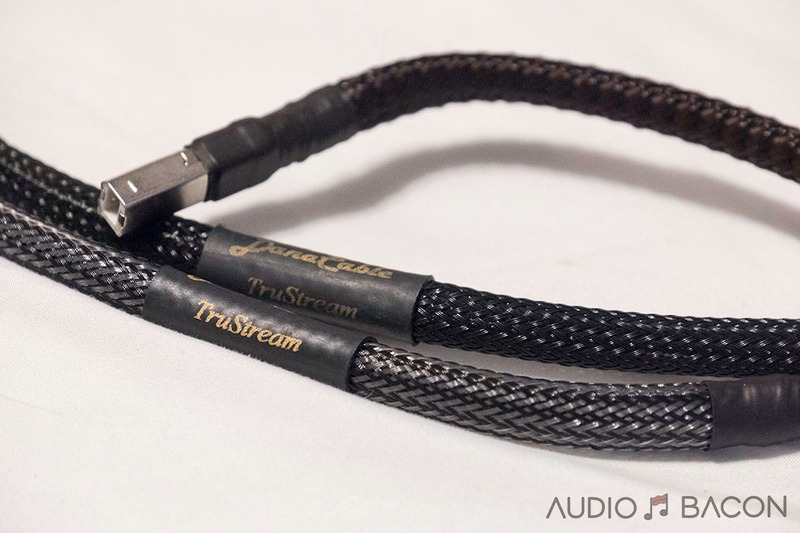 The TruStream was the cable that made me believe in a break-in period for cables. I’ve since purchased four Danacable Trustreams USB cables and they all required this “period of patience.” Obviously, for me, there’s purpose in the pain. In a way, you have to look at digital cables as analog cables. Using silver in a USB cable causes the USB cable to sound like silver, even though we’re just working with zeros and ones. Anyone could blind test this. A lot of USB cables have their own signature but they come with deal-breaking deficiencies. 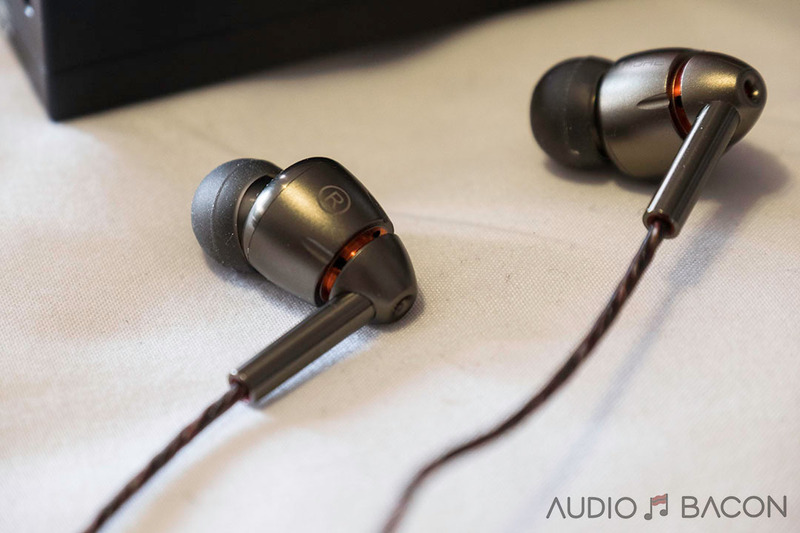 Some over-romanticize the highs to get more hyper-details but causes uncomfortable sharpness, or use thicker gauge wires for a more warmer sound but veils the sound and removes depth, or use proprietary fluid for an overly smooth sound, etc. They were either underwhelming or overwhelming in most cases. The reason why I stuck with the TruStream is due to its wonderfully balanced, accurate, and natural tone and timbre. If an acoustic guitar sounds like an electric and a male vocalist sounds like someone’s grabbing his testicles the entire time, that’s a problem. These qualities are difficult to correct downstream from the server so I figured it might as well be done right out the gate. It’s not the most transparent or detailed sounding cable, but it has this euphoric and organic quality I haven’t heard from any other USB cable. I also believe it sounds closest to what the engineers and artists intended for their music to sound like. This is very similar to what I experienced with his Utopia cables. I suspect they use the same secret sauce. Starting at $599.00, I would say it’s a great value but that would be an injustice towards the TruStream. 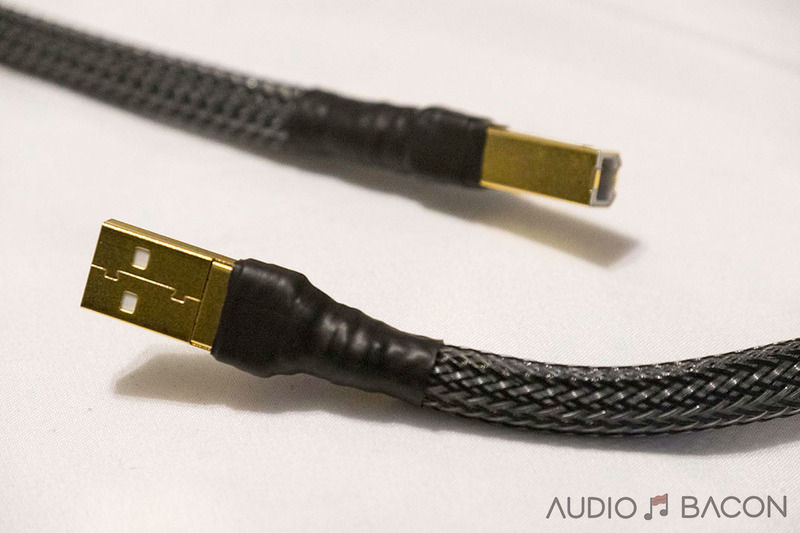 It’s a great sounding USB cable regardless of price and it’s my first choice as far as digital is concerned. 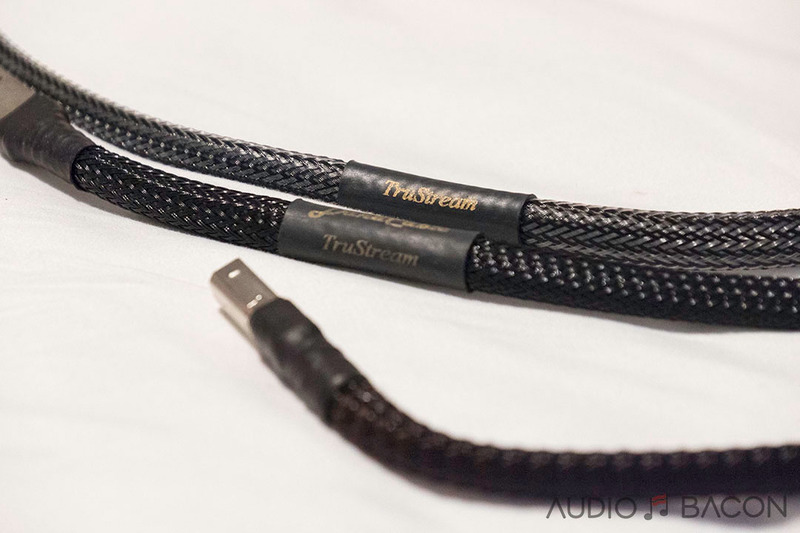 Since so many USB cables didn’t make the cut, I wanted to know more about the TruStream. I felt like it had an interesting backstory. I wanted to know more about the designer and just how much technical know-how and luck was involved in its creation. It’s apparent a lot of heart went into this product. After purchasing yet another USB cable, I didn’t hesitate to contact Dana Robbins at Danacable. He was gracious enough to take time away from making awesome headphone cables to respond to my prying inquiries. So without giving it another thought, I went back to spinning my CDs and LPs and was content. Then the next day a special offer from JRiver appeared in my inbox. I downloaded Media Center 20 and began the journey into the unknown. I soon realized I would need an audio DAC to make this thing produce music of any decent quality. 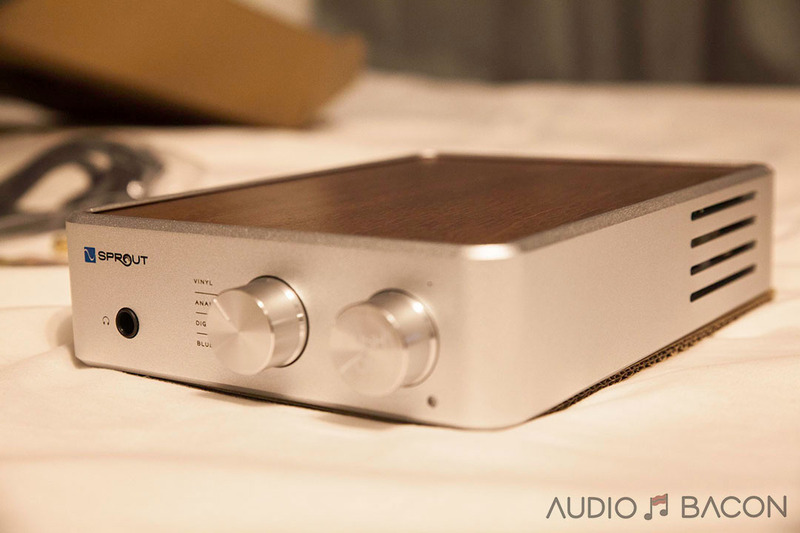 I ordered a Delta-Sigma DAC from Ebay . The DAC showed up about 1 week later and I was ready to go, or so I thought. The USB cable that came with the DAC was way too short for my system setup. Off to the computer store for a 2.0 meter USB A/B cable. Now we were ready to take our first steps into the computer audio world. I had ripped about 3 or 4 CDs into the JRiver library and was anxious to see how they sounded compared to my Shanling CD player. I selected one of the songs and hit the play button. No sound 🙁 and up popped an error message stating something about the playback could not be started, etc. Hmmm. Over the next few days, I learned all about audio drivers for Windows, more than I’ll ever admit to reading about. OK, the driver is now loaded and I hit play again, voila! Music was now pouring from my speakers, how exciting, right? Well, yes because I finally got it to work, but no because the sound was reminiscent of the first time I heard a red-book CD, underwhelming at best. 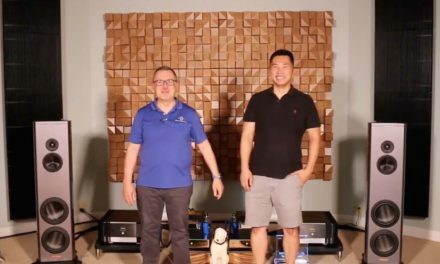 Time to study up on the computer/USB/DAC interfaces, and see where some major improvements could be made. What I learned is that a computer may well be the worst noise environment for sourcing digital audio known to man. With all its different high speed fast edged clocks and data running around radiating noise inside, it is wonder the USB signal has a chance at all. The clock used for generating the digital USB signal is barely up to the task of hi-res files. Any additional jitter generated from a poor USB cable interface is only going to degrade things further. The +5V power signal that accompanies the USB D+ and D- data signals is an additional source of radiated noise into the data. Armed with all this info. I was ready to attack the problem. My first thought was to eliminate the +5V power from the cable, then it can’t radiate +5V noise into the data, right? Well, yes and no. Many audio DACs need the +5V to power their USB receiving circuit, so to be compatible across the board I had to leave it in the TruStream cable. The answer was to include the +5V, but use a special shielding technique to separately shield it to prevent any crosstalk into the data! Next, I attacked the data side of the equation. The good news was that the data signals were differential (balanced) and were specified as a controlled impedance design ~90 ohms impedance. Properly driven and terminated a controlled impedance transmission will result in a perfect VSWR with no reflections. Signal reflections can cause errors in time, and just like jitter from a clock, will cause sidebands around the data. All these issues generate a compromised audio signal, smeared focus, inaccurate transients, blurry soundstage, etc. I looked at the recording industry for some clues in working these problems. Although they seldom use USB cables they do have to deal with digital audio transmission. I managed to source some recording studio quality digital audio cable and decide to give it a try. As you can imagine this stuff was not intended for use with these little USB connectors. To make it work I had to come up with some special (and difficult) assembly/soldering techniques to make this work; be flexible; and reliable. So after many false starts, I came up the learning curve. About 2 months in I finally built my first prototype that was manufacturable, and reliable. At first listen, WOW, I knew I had hit a home run, the rest is DanaCable history. Now I finally love my digital playback system, and JRiver is my friend 🙂 I will tell you that during this 6-month process I adhered to my working motto for audio, “ If it measures good and sounds bad, you are measuring the wrong things. If it measures bad and sounds good, you are still measuring the wrong things!” So, as in most adventures, when all is said and done, there is a lot more that’s been said than done. In this case, I came up with a winner. All DanaCables come with a 30-day money-back guarantee, so don’t take my word for it, try it yourself and see (and hear) the difference. Please visit the product page for more info. Who needs to fuss with USB cables? As long as you can put the A-B devices back to back, the Uptone Audio USPCB connector rules. Not mentioned though is the problem related to length as you reported while using with some devices. Result was that only very short lengths would work, maybe due to a capacitance issue. I’d think this was an important enough limitation of this cable to be mentioned here. Sounds like the cable may not conform to the established USB standard. This was a deal breaker for me unfortunately. Hey John, this was only an off case with a specific USB conditioner. It worked with other conditioners and components just fine (currently using them with the tX, Innuous Zenith SE, and DAVE). In any case, Danacable will give you a full refund in the unlikely case it doesn’t work. We at Danacable have built our TruStream for up to 5m length that works just fine with certain systems. However computer systems being the finicky sort that they are, sometimes people encounter issues. That is why we ALWAYS offer a 30-day money back guarantee and in the case where the TruStream does not work at all, we even pay shipping cost. So there is NO RISK at all in trying our TruStream USB cables. I was wondering what you used before getting the Innuos Zenith SE? Is the Innuos Zenith SE as good as what other people say (in your opinion of course) ?